I stumbled across the brand MaskerAide whilst shopping in Selfridges a while ago. 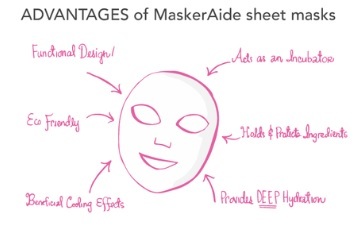 It’s a high quality and affordable brand from Canada which predominantly focuses on a line of eco-friendly hydrating facial sheet masks. I’ve used these masks for a while now and you may recall seeing one or two featured in my monthly favourites. However this post explains the brand and the line of masks available. 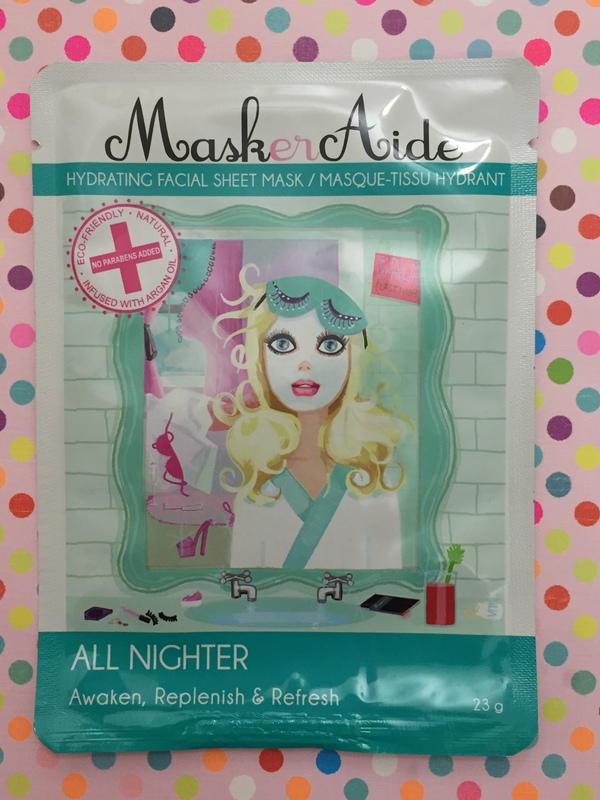 If you have never came across a sheet mask before, you’re definitely missing out! It’s basically a thin fibre sheet that is cut in such a way that will contour your face and fit perfectly. 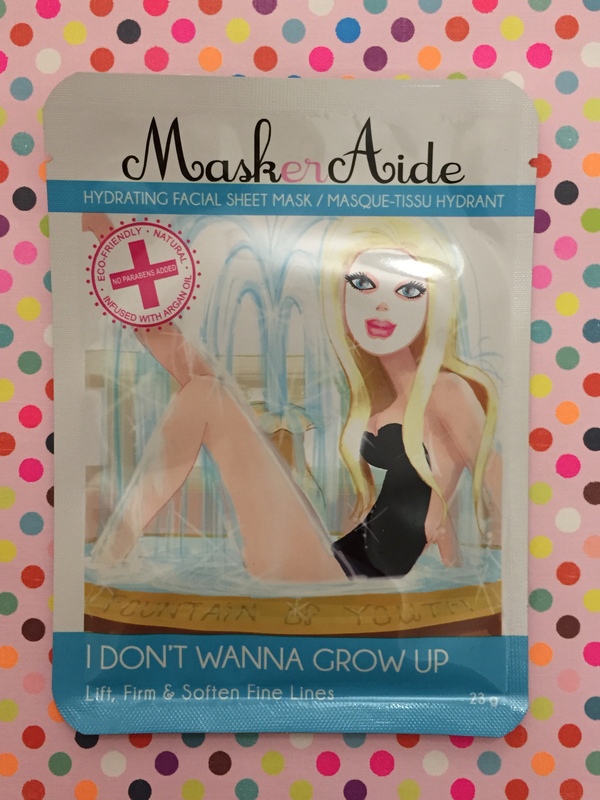 These masks are soaked (and I mean SOAKED) in a highly concentrated serum which is infused with vitamins and nutrients. They are incredibly hydrating and I think they work better than the usual wash off or peel off masks. The reason being, you leave these masks on for around 15 minutes to enable the serum to sink into the skin. Afterwards you don’t wash off the formula so it keeps working for hours after application. You also get loads of serum in the packet so although the sheet mask can be used once, there’s enough of the product remaining which can be applied for up to five additional occurrences. I keep the masks in the fridge to add an extra oomph on application. The cooling sensation mixed with the feeling of the product contributes to the ultimate pampering session. There are 6 masks within the collection all with incredibly cute packaging. This just adds to the appeal in my eyes. I DON’T WANNA GROW – This is an intensive multi-action mask which aims to combat the signs of aging whilst nourishing the skin. It deeply hydrates the skin providing a healthy dose of age defying ingredients such as Ylang Ylang, Vitamin E, Hydrolyzed Collagen and elastin to diminish fine line and leave skin illuminated and glowing. Out of the range this is definitely my favourite. If you have even the slightest bit of dry skin or redness, this will clear it up. I always add more of the serum to my face before going to bed acting like a sleep mask. In the morning, my skin is so soft and my makeup glides on. It most certainly quenches thirsty skin. DETOX DIVA – Designed to minimize pores, absorb impurities and protect from toxins and free-radicals without removing essential natural oils from the skin. The formula contains Geranium Oil, Seaweed and Green Tea Leaf extracts. The mixture of Chinese Plum, Strawberry and Lemon Fruit Extracts gently exfoliate the skin leaving skin luminous and glowing. The Argan Oil and Honey work together to deeply hydrate the skin. WEATHER WARRIOR – This formula within this mask contains ingredients such as Aloe, Green Tea, Witch Hazel and Argan Oil to help soothe, calm and heal skin. This mask is particularly useful if you’ve been in the sun all day, cools sunburn and on the flip side if you’ve been out in the extreme cold or wind. It’s a good pick me up to restore skin’s natural beauty. ALL NIGHTER – In addition to the cooling effect having kept this mask in the fridge, this also contains a cooling formula which will help de-puff and awaken your eyes whist Peppermint oil will awaken your senses. The formula on this mask includes ingredients such as Argan Oil, Aloe, Heartleaf (a powerful detoxifier), honey, super fruit and cactus extracts. It will make you look fresh as a daisy, especially after a night out or long haul flight. PRE PARTY PREP – This has a silky lightweight formula of Orange Peel, Argan Oil, super fruit extracts, rice extract and honey to energize, hydrate, brighten and prime your skin for a flawless velvety smooth finish. I always pop one of these masks on before a night out to ensure that I am looking my best and to combat any signs of dry dull skin. 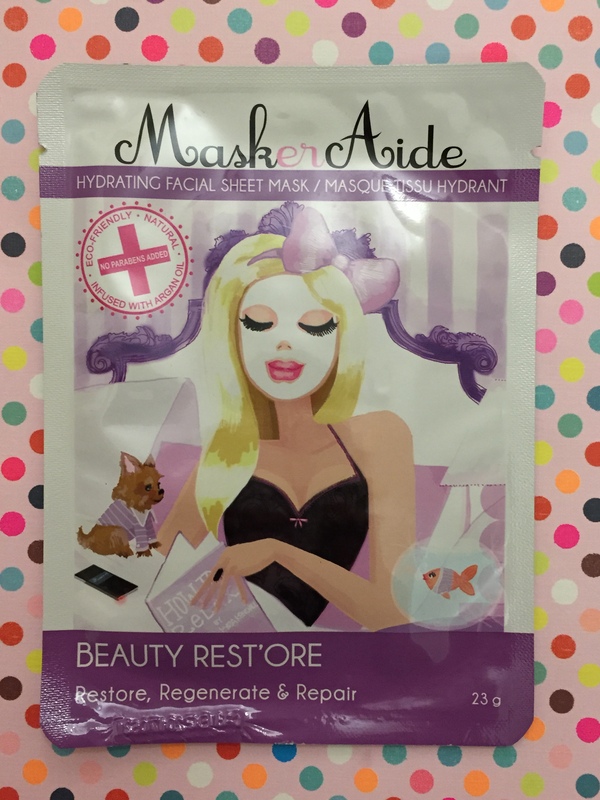 BEAUTY RESTORE – Containing Aragn Oil, super fruit extract, green algae and Vitamin E, this mask goes to work straight away. 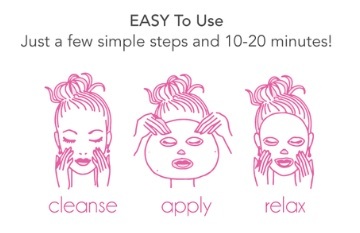 The formula helps to relax facial muscles easing the signs of stress or fatigue. It will restore, regenerate and repair your skin leaving it silky smooth by morning. Again with this mask I layer on extra product along with my moisturizer before bed to act as a sleep mask to fully penetrate the skin. It also includes lavender oil which will relax your mind enabling you to have a deep comfortable sleep. 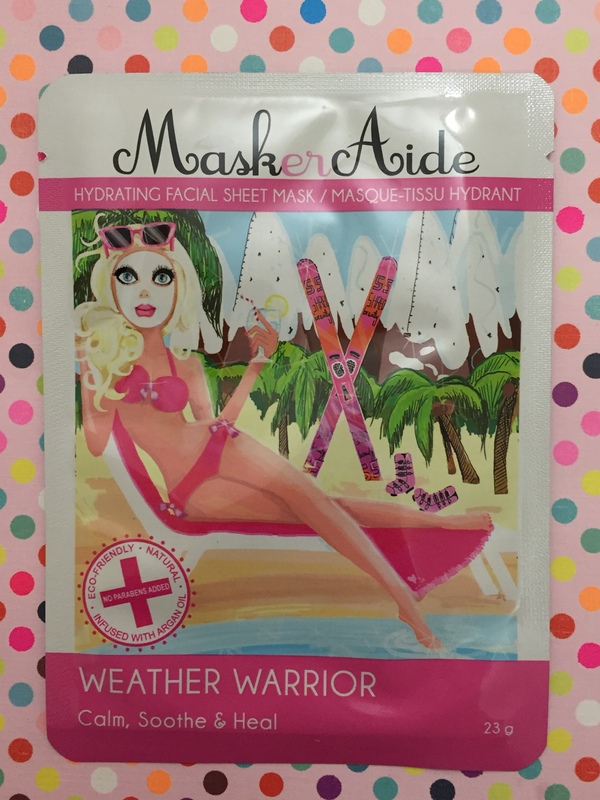 MaskerAide masks are available to purchase in Selfridges here in the UK for £5. Via their website, they ship internationally and are available to purchase within US and Canadian stores for $6.99. I absolutely love these face masks and am completely addicted to using them. Every time I find myself on Oxford Street London, I buy another set of 6. They really are that good! Please let me know whether you have tried out these masks or any mask which are of a similar nature. As you know, I love face masks and am always on the lookout to try a new one. These sound absolutely amazing! 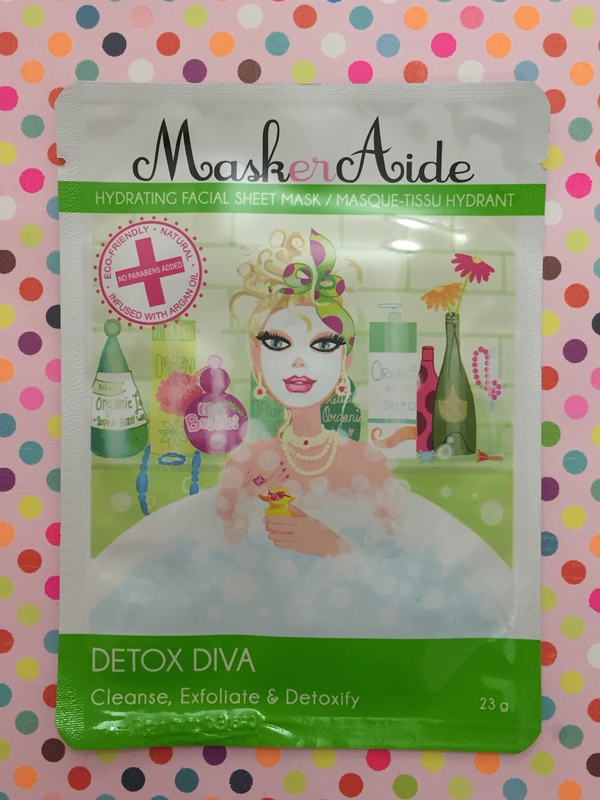 Pardon me and yes I should be shunned BUT I have NEVER tried a sheet mask before …. my girlfriends often tell me that I am missing out on gods greatest gift ha-ha. 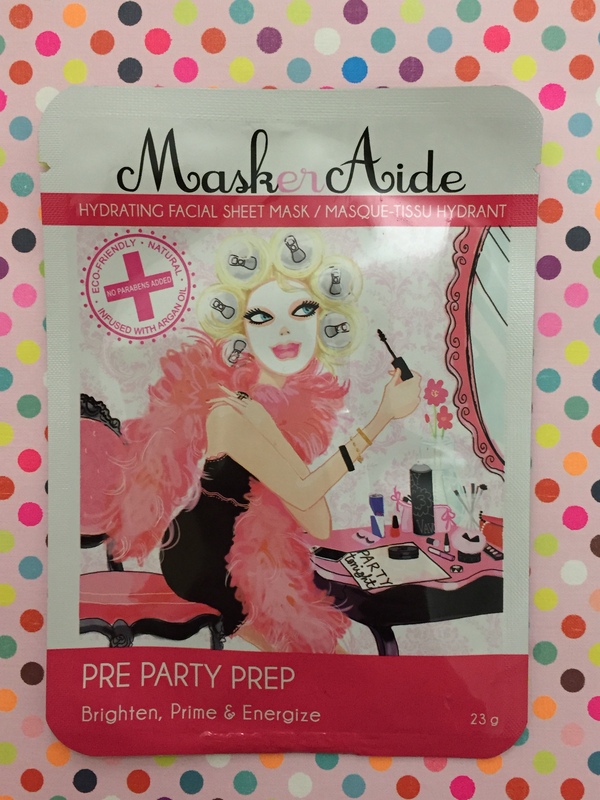 One of these babies might just change that forever; LOVE the packaging and I really like the sound of PRE PARTY PREP and ALL NIGHTER. Thank you so much for sharing lovely; I am definitely going to treat myself and grab a few of these this week!